Get your Company Sign Quote Today...It's FREE! Contact Our Company Sign Experts Today! In addition to being pleasing to the eye, company signs can also help your guest identify your business. 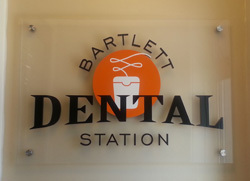 An acrylic sign can play a large role in the branding of your facility. Choosing from a variety of company signs can be confusing; let our company sign experts guide you through this process. 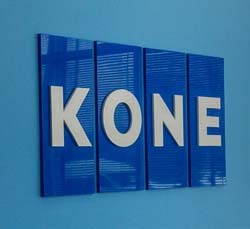 Our staff will work with you to determine the sign that best suits your office space. Selecting the proper size may seem like a difficult task but we provide scale mock ups so you can envision your sign before you purchase it. 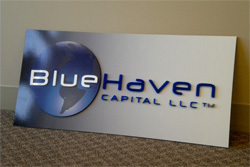 Contact us today to help create a scale mock up of your company sign! We can create solutions for clients within most any budget. We can help you design your company signs, manufacture them and even install them! Our experts will help you throughout the entire process. Call today for assistance in choosing the right company sign for you at (630) 289-7082. Click here (or photos below) to see previous work of company signs.